What are junk bonds? And, are junk bonds a good addition to your investment portfolio? If you are just like average investors, you’re probably all that not familiar with junk bonds and how they can boost your rate of returns on your investments. Junk bonds are high-yield bonds that offer profitable prospects for investors, but they’re not investment-grade bonds. They are a fixed income investment that have a credit rating of BB or lower as indicated by Standard & Poor’s or a Ba rating or below from Moody’s Investors Service. They are called junk bonds because the company that offers them are at a higher risk of defaulting on their obligations than traditional bonds from solid companies with better balance sheets. Some of the rating agencies have moved away from the term “junk bonds” and call them distressed bonds or distressed assets. If your portfolio’s recent rates of return aren’t up to your expectations, then you might benefit from the additional diversification of your investments. To earn a truly great rate of return, some risk is involved as you stray away from established, consistent returns offered by U.S. Treasury securities, municipal bonds, certificates of deposit, and savings accounts. Investing in riskier assets such as junk bonds should not envelop your major investment strategy, but the chance of higher returns makes increased portfolio risk worth it in some instances. The “junk” part of this type of bond refers to the fact that they carry a higher risk of default (and also higher rates of return to compensate investors for taking on that extra risk). According to Investopedia, a junk bond refers to “high-yield or noninvestment-grade bonds” that are rated as BB and lower by Standard and Poor’s or Ba and lower by Moody’s. Junk bonds are much more aggressive investment options compared to other types of bonds because there is a higher level of speculation (unpredictable revenue or historically poor financial performances). Conservative investment strategies avoid lower-rated bonds and achieve more consistent rates of return, but moderate to aggressive approaches to investing can possibly earn higher interest rates by incorporating some junk bonds into an otherwise balanced portfolio. Just because a government or corporate bond is considered a “junk bond” doesn’t necessarily mean you’re throwing your money away by investing in them. Instead, you should acknowledge that you’ll either lose most of the money you invest OR you’ll get back some seriously high interest (10% or more in some instances) if the borrower follows through on paybacks to its bond investors. Given the extra risk involved, junk bonds could work as short-term investment options (get in, get out approach) or long-term (as long as your research indicates there is a decent likelihood that the company or government entity will pay back the initial amount with interest). But, don’t let the increased risk of defaulting scare you off entirely. There are many junk-rated bonds from good companies that can help you earn a high rate of return on your investment. The higher profit is an offset to the risk investors take in buying those bonds. If the company offering the bonds default, the investors lose all of their money. However, if the firm meets its obligations, investors can expect to see a significant return on their investments. Bonds, in general, have a fixed price and offer a set interest rate for investors, and they have a due date when investors receive their principal amount back just like traditional bonds. Bonds are rated based on the revenue they generate and the assets pledged to secure the bond. For example, if it’s a private company offering the bond, then the bond rating is judged according to the company’s ability to generate profit. However, if it’s a municipal government bond offering, the bond may be backed by the fees generated from toll fees or a sports venue. The same government can also offer a general obligation bond that is backed by taxes. In general, the more revenue a bond generates and the lower the risk of repayment, the higher the credit rating it will enjoy. The opposite of a junk bond may be a secure bond or a bond that has an attached collateral, which can be sold to make payments to the investors if there isn’t enough revenue generated. Junk bonds, on the other hand, are only backed by its issuer’s ability to make payments, which of course only adds to the risk and increases the interest charged for these bonds. The interest rate is what makes junk bonds attractive, and companies seldom back bonds by assets that investors can use as collateral. If bond issuers are not able to make payments on the capital and interest, the bond is said to be in default. Junk bonds have a higher risk of default because they have an uncertain revenue stream, lack sufficient collateral, or are issued by struggling companies or governments. Investing in junk bonds have a speculative aspect to it. Many investors buy bonds with the speculation that their prices will increase and not necessarily to earn from the guaranteed interest rate. You can speculate with junk bonds in this way, trading them for price appreciation instead of holding the bonds for their interest. When the price does increase, investors can profit from the difference in the purchase and the sales price just like you would with shares of common stock. Where can you buy junk bonds? You can typically purchase junk bonds from stock brokerages and online brokerage firms that offer securities investments. 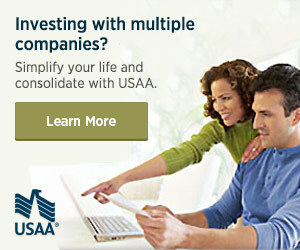 Your bank may even offer them as part of their products if you have an investment account with them. Simply put, junk bonds offer higher interest rates and lower rates of volatility that individual stocks might experience in regular market fluctuations. Perhaps the entity issuing junk bonds is trying to grow its company and offer more sustainable, long-term growth for investors but it’s presently struggling with consistent revenue in the process. While these bonds are considered “noninvestment grade” bonds, there is still a variety of types to choose from, such as Standard & Poor’s bond ratings of BB, B, CCC, CC, C, and D.
The main difference lies in the rating of the junk bond. For instance, S&P’s BB rating means that the borrower “faces major ongoing uncertainties or exposure to adverse business, financial, or economic conditions that could lead to the obligor’s inadequate capacity to meet its financial commitments on the obligation.” In other words, the borrower currently can meet its obligations to lenders, but future uncertainties prevent it from obtaining a higher bond rating. On the other hand, another type of junk bond, a D-rated bond, is described by S&P as in “default or in breach of an imputed promise.” The lender could be in the midst of bankruptcy or significant restructuring, which leads to higher volatility for investors. The differences between BB bonds and D bonds demonstrates how higher-rated bonds could still be good additions to a portfolio, even if they fall under the dreaded “junk bond” category. Three words: risk of default. You’re not guaranteed a consistent interest rate or even your original investment amount when you invest in junk bonds. If you’re trying to avoid risk in your investments, then junk bonds are not the way to go. Investing in the lowest rated junk bonds could make default more likely than the ultimate payoff you’re expecting, and this is further hampered by the fact that junk bond yields are currently facing record lows. The problem with longer-term junk bonds (more than a few months until maturity) is that increasing rates of inflation we’re witnessing in the global economy could eat into the higher returns you’re expecting. In other words: junk bonds in a healthy economy pose additional risks beyond just the borrower defaulting on bond repayments. Should You Buy Junk Bonds? Junk bonds are not ideal for faint-hearted investors. They carry a significant risk that could prove destructive if a portfolio is heavily invested in junk bonds without conservative investments like mutual funds, AAA/AA/A-rated bonds, and certificates of deposit balancing the risks with the rewards. However, if you’re looking for additional ways to diversify your portfolio and possibly bump up your average rates of return, then adding a limited number of junk bonds to your portfolio might be worth the gamble in some cases. Should you buy junk bonds? Well, that depends on your investment portfolio. Junk bonds can make a great addition to a well-balanced investment portfolio. There are two ways to make money from junk bonds. Either you wait for the bonds to appreciate and trade bonds like stocks, or you could also invest and hold the bonds until maturity, collecting the interest on your principle. You can earn a decent rate of return with junk bonds especially if you have an eye for speculative investments. Before you invest in any junk bond, you should consult with a financial planner or your investment advisor. Because of the uncertainty involved, you could end up losing all of your money. What are junk bonds? And, are junk bonds a good addition to your investment portfolio? Do you have junk bonds in your investment portfolio? Why or why not?